UNIQUE - Point Runner: Builds up to 20% bonus movement speed over 2 seconds while near turrets, fallen turrets and Void Gates. UNIQUE: Spawns a Void Gate at target location for 120 seconds. Every 4 seconds the gate makes a Voidspawn that travels down the nearest lane and decays over time. Voidspawn explodes when attacking structures. Voidspawn ignore champions and void targets. The first and every fourth voidspawn gain 15% of your maximum health as damage (120 second cooldown). Void Gates trigger the Point Runner movement speed. With item cooldown reduction, it is possible to have two portals active at once. The maximum number of portals active is soft capped at two. Grant 50 gold upon take down. Have 5 health and regenerate health after being out of combat for 5 seconds. Have 100 Armor and 60 Magic Resistance. Take 1 damage per basic attack. Upon reaching an enemy structure, Voidspawns will become untargetable and explode for 20 - 360 (based on level) physical damage onto them. First and every fourth Voidspawns will deal [+15% champion's maximum health] bonus physical damage. When killing units, Voidspawns will grant their owner gold. Have 40 Health and lose 20% of their current health per 0.25 second (starting 5 seconds after spawning). Have 52 - 86 (based on level) Attack Damage. First and every fourth Voidspawns also gain [+15% champion's maximum health] as Attack Damage. Have 100 Range. They attach to turrets within 450 range and inhibitors within 350 range. They have 115 Armor and 20 Magic Resistance. They have 467 Movement Speed, upped to 520 within 775 of an enemy structure. Its deployment was planned for the first preseason patch V4.20, but it was delayed due to reprioritizing other art assets. Raptor Cloak was initially created for this item. Later on, Ohmwrecker was also tweaked to build from it. Upon release, the Voidspawn were given huge damage whenever a player disconnected for longer than a minute (this causes their champion to gain 1000 armor and 1000 magic resistance) Zz'Rot Portal was disabled until it could be fixed. Portal cooldown and duration reduced. Voidspawn health scaling down and decay rate up. Voidspawn structure damage up. Zz’Rot Portal should be the go-to defensive item for tanks who want to opt into a pushing strategy. However, we also want ZZ’Rot to be an engaging item that informs a tank’s playstyle, not something they fire and forget. The high travel range of Voidspawn gives Zz’Rot too much pressure even when its owner isn’t around to curate or replace it. We’re sharpening Zz’Rot’s power as the go-to tower-sieging item for aggressive pushers, while toning down its ability to control a lane from afar. Less armor and magic resist. Portals give more gold to enemies and now have ward health. Ah, Zz’Rot. While always seen a silly niche item, you eventually fought your way into our inventories. And then our lanes. And then all of our lanes, as it turns out. Zz’Rot’s intended to fill a strategic role, allowing teams to reactively opt-in to pushing when the situation calls for it (or proactively layer on an already push-heavy comp). Lately though it’s all been ‘stats first, strategy second’ for Zz’Rot buyers, warping regular and pro play alike. We’re focusing the item less on stat-lines and more on your ability to place and protect your portals. More health regen and point runner decays over time. Voidspawn are tankier and go further, but deal less damage. While an incredibly stat-efficient item already, Zz’rot is often seen more as a ‘gimmick’ and less of the neat strategic pushing tool it should be. A boatload of extra range (is distance measured in boats?) and increased survivability will grant teams seeking alternate forms of pressure a ticking-void-bomb’s worth of siege potential (given that you can protect that gate in the first place). Failing that, you can always leave it in a lane while fighting your opponents in the jungle - often netting you two objectives at once. Now you’re thinking with portals. "Now that we think players have good ways to deal with this (see: ability power damage to structures, etc), we're giving it some extra love. Also, please don't build this item against Nasus. Trust us. " "You can now build Portals which spawn little Voidspawns who explode on enemy structures. Think of this new item as a follow-up to our original preseason promise of adding more strategic diversity to League of Legends. 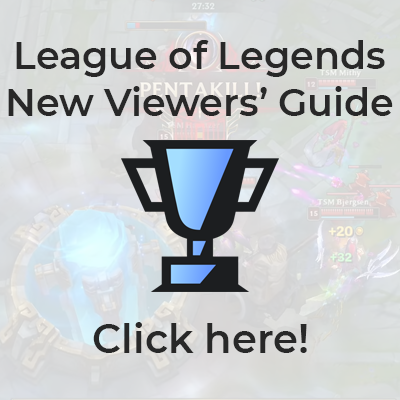 Specifically, the Zz'Rot Portal is designed to provide tanky dudes with a new way to opt into pushing strategies while also having enough utility to be used in other creative ways." UNIQUE PASSIVE : Point Runner: Builds up to 30% Movement Speed over 2 seconds while near turrets or Void Gates. UNIQUE ACTIVE : Spawns a Void Gate at target location for 150 seconds. Every 4 seconds the gate makes a Voidspawn that travels down the nearest lane. Voidspawn explode when attacking structures. Voidspawn ignore champions and void targets (150 second cooldown.) After the third Voidspawn made by Void Gate, additional Voidspawn gain 50% of your Armor and Magic Resistance as damage.